Here at Cocoa Runners, we’re getting in the mood for Christmas. 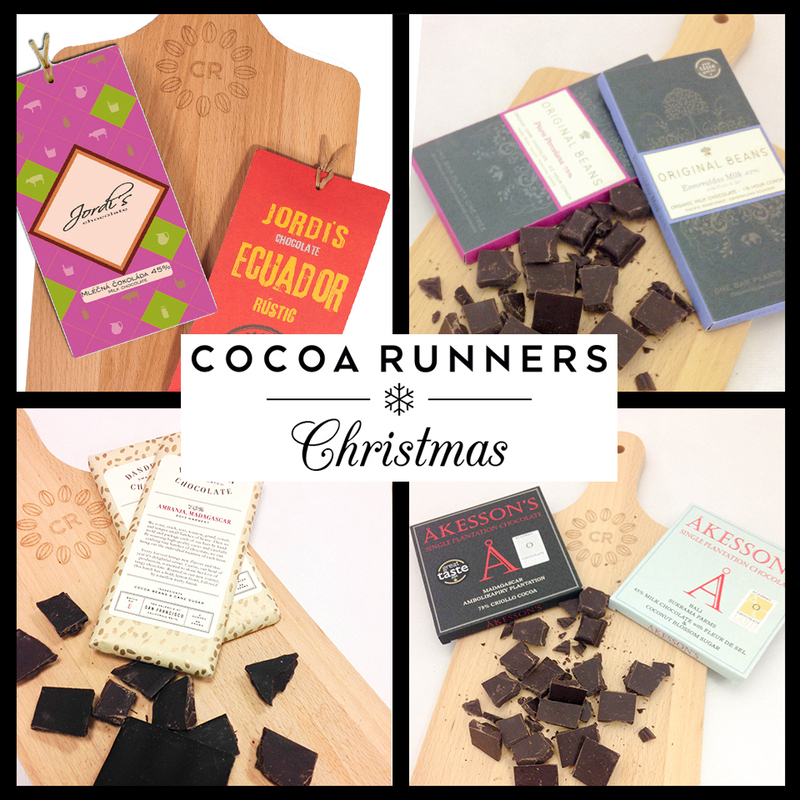 And from now ’til Christmas we will be sharing some of our favourites from the Cocoa Runners Christmas collections. Whether you’re shopping for a £9.95 stocking filler or a £99.95 luxury hamper, you’ll find something for everyone on your list at Cocoa Runners. This week we’re so pleased to share our stylish chocolate sharing boards. It’s the perfect gastronomic treat for a food-loving friend or a quirky addition to your next dinner party. As with all the chocolate gifts in our collection, we’ve hand-picked these bars for their provenance, artistry and wonderful flavour. They’re waiting to be tasted and explored. Either chopped or broken into pieces, this easy and original way of serving chocolate is certain to charm guests. And of course, if you need a refill, or want to create your own unique combination, there are plenty of bars to choose from in our chocolate library. So next time you invite friends for dinner, why not serve your guests two exquisite artisan bars on our stylish Cocoa Runners sharing board? Chocolate connoisseurs can select their own bars to top a board. But we’ve pulled together an edit of our boards of the moment to delight your guests this holiday season. Priced from just £19.95, each board comes with two exquisite bars on top, making for a perfect alternative dinner party dessert. You’ll also find a gift card with the board, so that you can add a personal message of your own. This board will delight milk and dark lovers alike. Atop it you’ll find the delicious Esmerelda’s Milk, a bar that is a creamy treat for milk chocolate lovers, with some amazing fruit notes this will tantalise the the taste buds. In wonderful contrast is the intense 75% dark chocolate Piura Porcelana. And these bars not only taste great, they do good too. 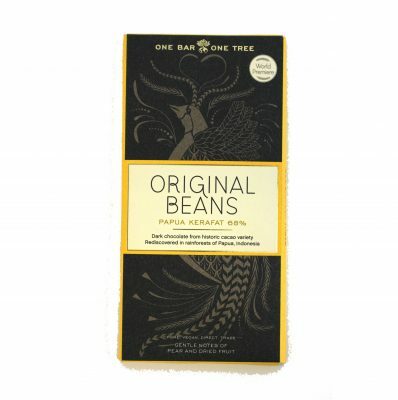 For every bar sold Original Beans plant a tree in the rainforest. 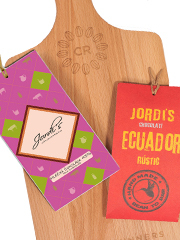 This board is topped with two fabulous bars by Czech chocolate maker Jordi’s that are sure to please supporters of both milk and dark chocolate. For fans of smooth milk chocolate, there’s the Jordi’s 45% milk bar with its warm cinnamon notes. While those who prefer a more intense bar will surely fall for the unapologetically unrefined Ecuador ‘Rustic’ bar. Wonderfully earthy in its flavour, this is yet another fantastic bar from artisan chocolate maker Jordi’s. If your prefer your chocolate dark and intense, this is the board for you. 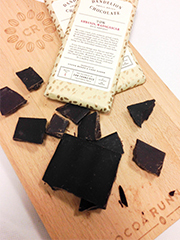 With this chocolate board you will find two exquisite dark chocolate bars by San Francisco based Dandelion. Founded by two Silicone Valley entrepreneurs, Todd Masonis and Cameron Ring, who’s technical prowess shines through in these bars. This board is a great example of how different geographies can affect the flavour of chocolate. The Ambanja Madagascar is an intense 70% bar with a slight astringent flavour. This mixes with the beautiful, strong, fruit notes so typical of Madagascan chocolate to create a bar that’s perfect for those who love their chocolate strong and flavoursome. By contrast the Mantunao Venezuela, another 70% chocolate, has a more earthy, roasted flavour. This truly is the perfect gift for real dark chocolate connoisseurs. This pair of bars from French chocolate maker Bertil Akesson is sure to be popular with both milk and dark chocolate lovers alike. 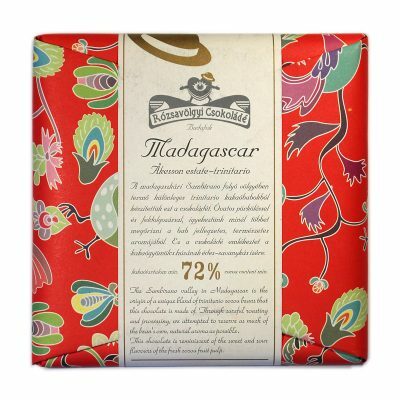 For lovers of fruity dark chocolate there’s the 75% Madagascan Criollo. While the Bali Sukrama Farms 45% chocolate is sweet enough to satisfy any milk chocolate fan. However, we think this bar also possesses a subtle complexity that’s sure to pique the interest of even the most committed dark chocolate lover. These are two fantastic bars from a true chocolate master craftsman. Everybody has a foodie in their life who knows just what they like. And sometimes they can be the hardest person to shop for. With this in mind we’re delighted to share our latest Dark and Milk Chocolate collections. They’re just the thing for that single minded chocolate lover on your list. These are the must have collections for the epicure who only wants the very best, exceptional quality, artisan chocolate. The ‘gift’ that never quite make it to Mum’s. Both boxes are priced at £19.95 (inc shipping) and contain four fabulous bars from Europe and the Americas. The Dark Chocolate Aficionado’s Collection features decadently delicious dark bars from makers such as Dandelion and Akesson’s. While the Milk Chocolate Aficionado’s Collection includes a rich creamy bar from Idilio and a truly unique Brown Butter bar from Bryan Graham and the team at Fruition. If you know someone who knows they love artisan chocolate, and want to explore its full range of flavours more thoroughly, this is the gift to buy for them. Priced at £14.95 (inc shipping), the Milk Chocolate Explorers Collection features a truly stunning bar from the aptly named Chocolate Makers, and a smooth and creamy chocolate with scrumptious notes of pistachio from Chocolaterie Robert. 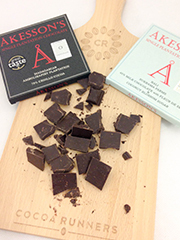 The Dark Chocolate Explorers includes marvellously fruity bars from Akesson’s and Blanxart. Do you know someone who loves chocolate? Why not introduce them to the wonderful world of handcrafted chocolate with these wonderful introductory boxes. 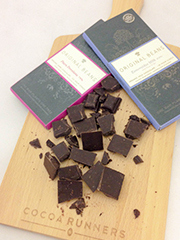 The Dark Chocolate Taster Box features bars from Origianl Beans, Madecasse and Cluizel. And the Milk Chocolate Taster Box includes bars from Chocolaterie Robert, Original Beans and Menakao. What’s more, priced at just £9.95, they’re an absolute bargain. We think they’d make a wonderfully quirky secret santa present that you just know they’d really truly love. Make this Christmas one to remember with our gorgeous range of hampers, gift collections and stocking fillers. We’ve over thirty gift collections, with everything from £9.95 mini gifts to £99.95 hampers. And what’s more, we ship these beautifully gift wrapped collections around the world. So you can always share the gift of artisan chocolate with your loved ones, wherever they might be. Smoke will be in the air tonight. A bonfire, a burning Guy, watching fireworks with friends, and why not an artisan chocolate bar from Papua New Guinea as a sweet treat? With their delicious, typically smokey and roasted flavours they are the perfect bar to enjoy during the firey festivities of Guy Fawkes. Unlike most areas where cacao is grown, the high rainfalls in Papua New Guinea mean it is not practical to dry the pods in the sun. 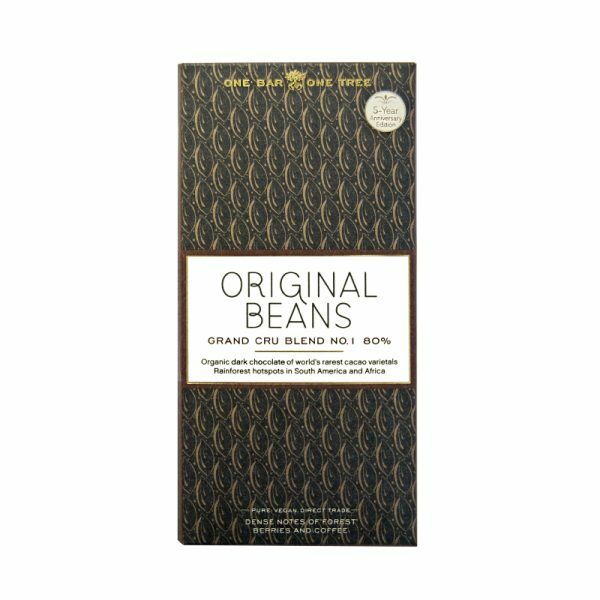 Instead, the beans are dried by open fires, which infuses the beans, and consequently the bars, with a natural smokiness. 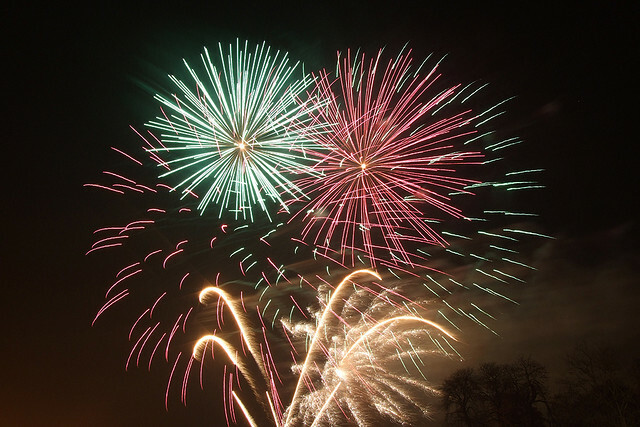 Beautiful flavours ideal for the smokey fun of bonfire night. If you love the smokey sweetness of barbecue sauce, this is one for you. Set up only two years ago, the International Chocolate Awards have become a hugely respected and influential body. Reflecting its international character, this years America’s Semi-Final results were announced in London on the 18th October. From the USA there were awards for Askinosie’s Dark Milk Chocolate and Licorice CollaBARation (TM). Flavoured with Liqourice (or Licorice if you’re American) from Lakritsfabriken, the result is a delightfully different chocolate bar and worthy winner of Gold in the Milk Chocolate Flavoured with Inclusions Category. In addition Dandelion picked up silver in the Dark Single Origin Category for their fruity and intense Ambanja Madagascar, whilst Taza’s Cacao Puro won two golds for their “rough ground” dark bar. 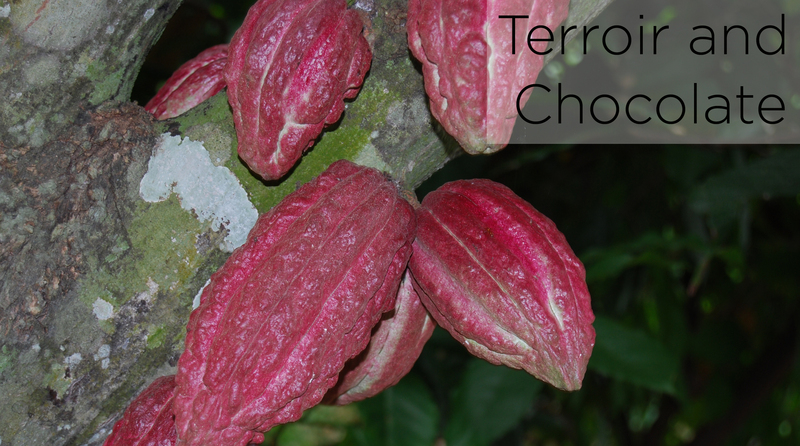 Adding to their geographic cross pollination, Martin, Marcel and their team this year extended their coverage to add a category for chocolate makers in South America, Asia and Africa. Santiago and his crew from Pacari again did Ecuador proud, winning a score of awards. 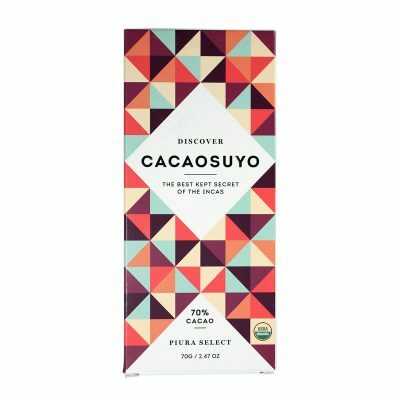 We were also delighted to see CacaoSuyo pick up awards for some of their new bars that we’ll be bringing in shortly – their Camu Camu Yakon won a gold and their Lakuna won silver. Santiago and the crew at Pacari deservedly won a host of awards. Two of the award winning bars are featured in our collections. 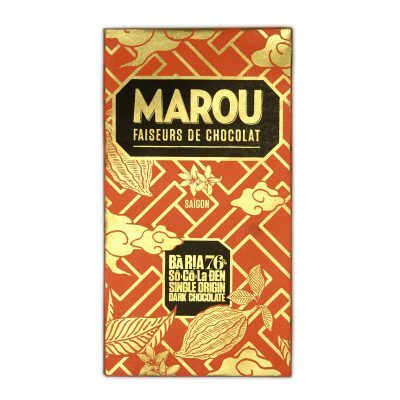 Marou also won gold with a new 85% bar, based on their Treasure Island beans, called Tan Phu Dong 85% that we hope to have soon. And then from Africa we were delighted to congratulate Chocolate Madagascar for winning awards for their white, milk and dark bars. To celebrate these fantastic awards we’ve put together two delicious collections. However, as the ICA team keep the judging under tight wraps, we had no advanced notice of who would win, and consequently stock is very, very limited. At Cocoa Runners we aspire to, and look enviously at, the way in which fine wine has become part of daily life. Thanks to a host of great enthusiasts such as Hugh Johnson, Oz Clarke and Jancis Robinson, we’ve all become far more comfortable with, and interested in, wine. Now even the supermarkets sell great wines. Artisan chocolate is on the same path. 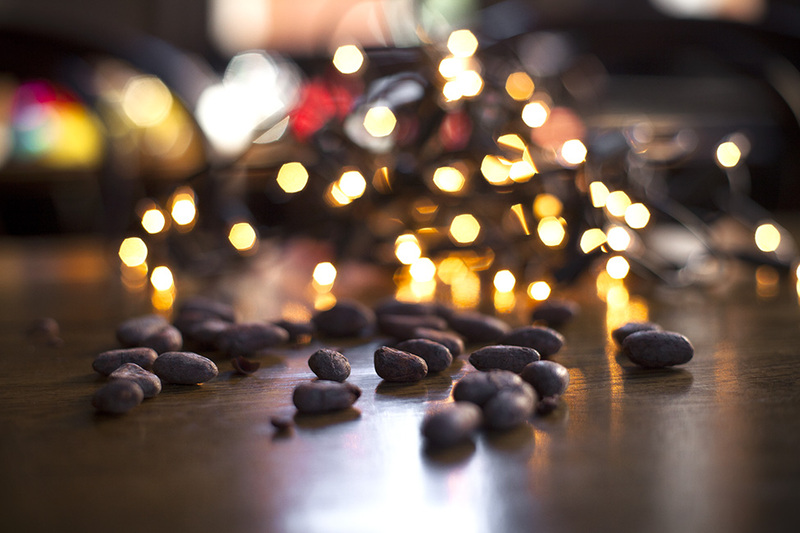 Whenever we taste chocolate they immediately cite similarities between wine and chocolate – breadth of flavour, the importance of high quality ingredients, the skill and craftsmanship involved. 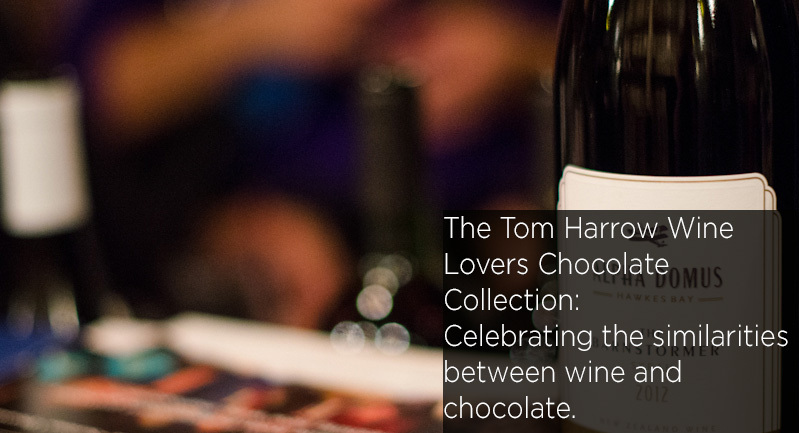 So we asked Tom Harrow Wine Director of Honest Grapes (@honestgrapes on Twitter) and founder of Wine Chap (@winechapUK), columnist for the Financial Times blogger, buyer, presenter and much else to curate a selection of chocolates for us. And next week we’re joining him at his festival – Honest Grapes “Big day out” – to showcase this box. In Tom’s words “Chocolate, like wine is all about flavours, tastes and “noses”. And sometimes these flavour notes overlap.” But he also notes that, “few wines pair naturally with chocolate, Mas Amiels from the Pyrenees, Banyuls and particularly Recioto di Valpolicella being notable exceptions.” And he was at pains to note that his selection is “very much NOT a pairing guide” instead it is “based on the belief that if you prefer certain wine styles and grapes then you will be drawn towards certain chocolates.” So here is his selection – with the whole selection available in this £29.95 gift box. This bar has delightful lime and citrus notes making it a natural comparison to very dry, zesty wines with strong citrus elements. So if you’re a fan of Sauvignon Blanc, Albarinho, Gavi di Gavi or Gruner Veltliner we think this will be the bar for you. The Cacasuyo Piura with its zesty notes is comparable to wines such as Sauvignon Blanc and Gavi di Gavi. The delicious creaminess and smooth texture of this bar, created by the founders of wired magazine, make it ideal for individuals that enjoy richer, softer whites. Ones with a little depth and creaminess and some hints of the spice cupboard. An ideal chocolate for lovers of whites ranging from sensitively oaked Chardonnay to Chenin, Semillon and Viogner. 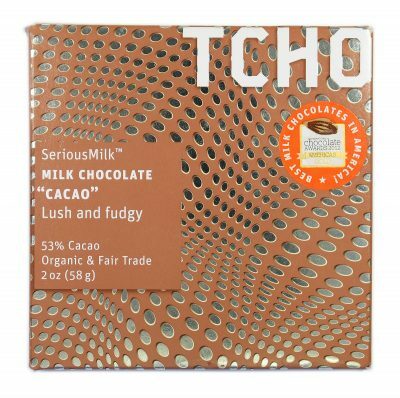 The Tcho SeriousMilk is ideal for the palate of those who enjoy creamy, rich whites such as Viogner. With powerful fruity notes typical of Bertil Akesson’s Madagascan beans, from which it is made, this bar will appeal to supporters of vibrant mid-weight, elegant reds with gentle tanins redolent of wild strawberries. A bar for lovers of Pinot Noir, Gamay or the aforementioned Recioto di Valpolicela. A fruity bar ideal for supporters of mid-weight reds such as Mencia or lighter based Grenache wines. 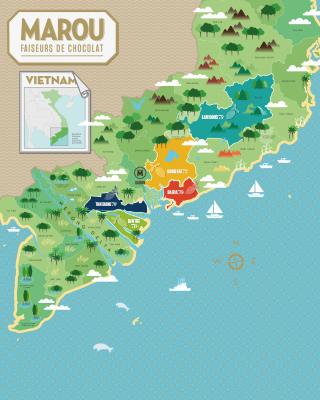 Marou classify their chocolates by the regions of Vietnam the beans were grown in, believing that like with wine, the terroir has a huge effect on the taste of the bar. This rich and fruity bar is a sublime taste experience, perfect if you enjoy pungent reds bursting with forest fruits and pepper. It’s wine comparisons would, in ours and Tom’s opinion, be the likes of Syrah, Touriga Nacional, Sangiovese, Carmenere and Tempranillio. 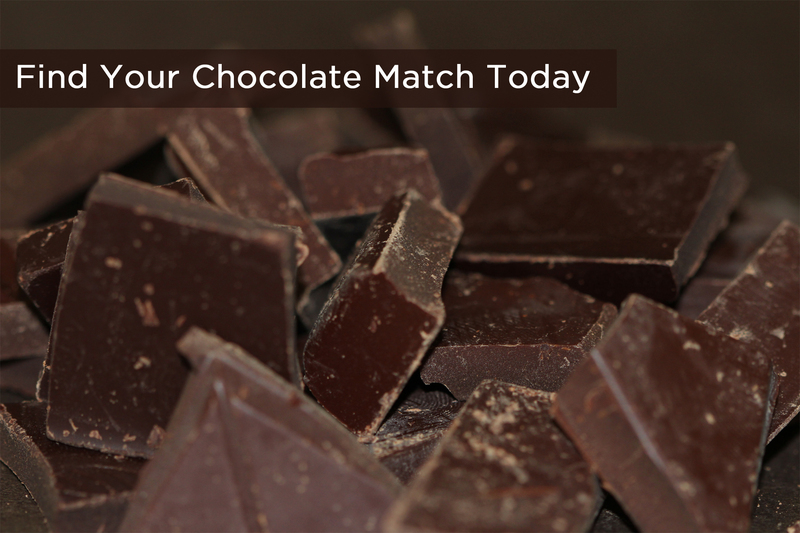 This rich and fruity chocolate is ideal for lovers of spicy pungent reds such as Syrah. Rounding out this delicious experiment is the Belize bar by Brooklyn’s own Mast Brothers. Its complex fruity and citrus flavour with notes of blood orange and banana make it an exciting chocolate to enjoy. One that will appeal to lovers of Cabernet, Merlot or Malbec with their various fruity and flavoursome notes of cassis, black cherries and cedar. 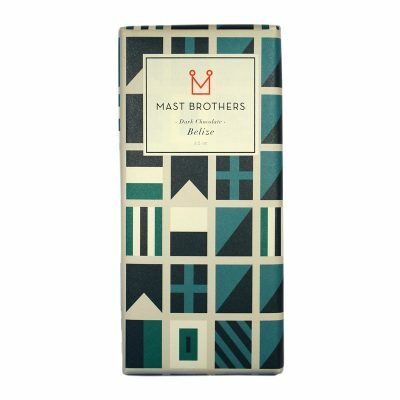 The Mast Brothers Belize with its complex fruity flavours is redolent of Merlot or Rhonish style blends. Now, individual palates can be unpredictable and contrary things. This means that whilst we figure lovers of certain wine styles and grapes will find certain chocolates appealing it might not be exactly as we, and Tom, have suggested. However, one thing we are certain of is you will enjoy the experiment…so check out the box today and we look forward to your feedback. And next week we’re joining him at his festival – Honest Grapes “Big day out” – to showcase this box. Why not join us and get your tickets today. Have You Tried Our Taste Test? With over 200 bars in our Chocolate Library, it’s sometimes difficult to know where to start your chocolate adventure. But don’t worry – we’re here to help. Perhaps you came across a particular bar that you liked in a Cocoa Runners subscription or gift box but can’t for the life of you remember the name of it? The filters along the left hand side of the chocolate library should be able to help you find it again. They let you cut down the selection of bars according to factors ranging from maker, to chocolate type, to flavour and texture. But what if you’ve not got a particular chocolate in mind, and instead want to discover more bars you think you’d like? Fear not, we’ve got all bases covered. Here at Cocoa Runners, carefully curated bars that match individual preferences is something very important to us, and something we put a lot of time into. That’s why we developed our Chocolate Lovers Taste Test. Simply answer a few quick questions about your foodie preferences and we’ll choose four bars that have been individually tailored to you – and which we think you’ll love. What’s more, we’ll give you the links for the bars, taking you straight through to the chocolate library where you can find out more about their origins, makers and flavour profiles. And we’ll even give you 10% off if you decide to try them out. Finding delicious chocolate really couldn’t be easier! We are delighted to bring to you four brand new bars from Original Beans. 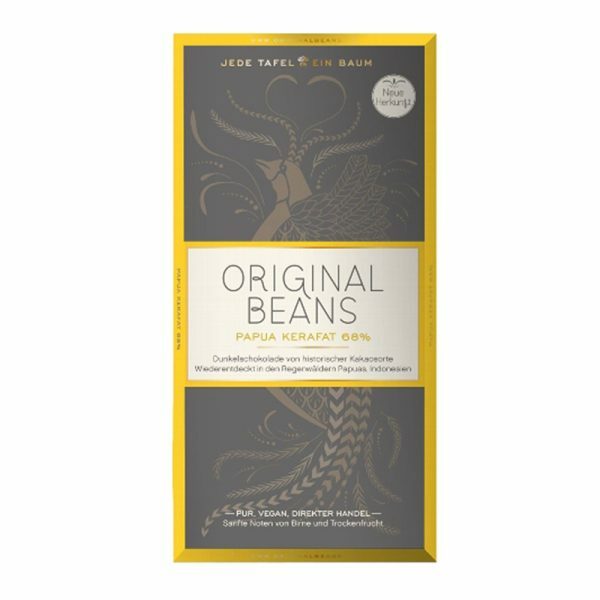 Created to celebrate Original Beans’ 5th birthday, these bars explore new geographies (Indonesian Papua), and new chocolate types, with Edel Weiss, a white chocolate made with Swiss Milk and no vanilla (unusual for a white chocolate bar). Not only do these bars taste amazingly good, but they do good too. With these bars, comes a new twist to Original Beans’ promise to plant a new cacao tree in the Congolese rainforest for every bar sold. With every sale of the new Femmes de Virunga milk bar one new tree is given to a female cacao farmer in Virunga. An atypical Papuan bar the Kerafat is deliciously smooth and fruity. 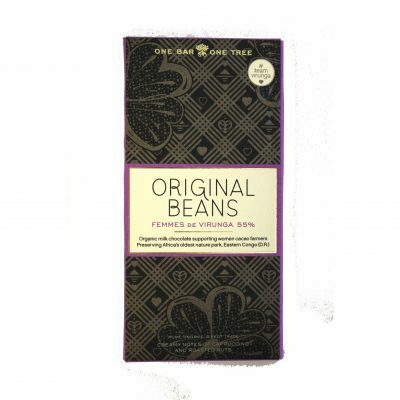 Made with beans from Indonesian Papua this bar is atypical of chocolate from the area. It is both smoother and has less of the smokey, roasted notes than a normal bar from Papua New Guinea. This alone makes it a deliciously different tasting experience and is a consequence of the beans being dried more traditionally than the typical Papuan manner of roasting them over fires. Combined with its notes of Citrus, pear and dried fruits and you have a delightfully different way to enjoy Papuan chocolate. An intense 80% cacao content with no added cocoa butter. The Grand Cru Blend is an 80% cocoa bar with an immensely intense taste, courtesy of its creation using only cocoa beans and can sugar with no added cocoa butter. Its powerful fruit notes and roasted flavour make the Gran Kru Blend a complex pleasure for the palate. One to perhaps savour slowly with guests and a glass of good quality red wine. Packing a mighty 55% Cacao content this dark milk bar simply oozes richness. This milk bar packs a mighty 55% cacao content and oozes richness with some great coffee notes. Mixed in with notes of roasted Hazlenuts this is another delightfully complex bar. A perfect complement for your coffee, whatever type you have and whatever time of day you have it. Made with no added Vanilla this white bar is deliciously different. White chocolate normally relies on vanilla flavouring, but not Original Beans Edel Weiss. 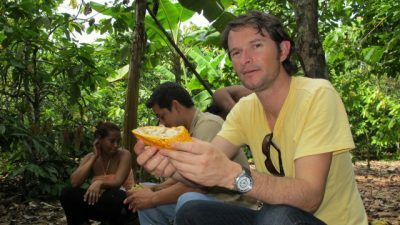 Instead it is a mixture 40% Trinatario cocoa from the Yina River Valley in the Dominican Republic and Swiss alpine milk. This combination works wonderfully resulting in a deliciously sweet and creamy bar. With its rich notes of Banana Milk this bar is definitely worth a try. So if this is whetting your epicurean appetite why not try these brand new bars today, all available for just £3.95. It’s a new concept all about giving exclusive members the opportunity to buy certain bars from our chocolate library at a discounted price. As Cocoa Runners Insiders, you’ll be the first to know about the bars that we’ve reduced, meaning you can beat the crowds and bag the discounted bars before everyone else gets to hear about them. We’re fast-tracking you to cheaper choc. Whether you choose to share the secret with friends or family not in-the-know is up to you. Becoming a Cocoa Runners Insider really couldn’t be easier. Anyone who has ever purchased from Cocoa Runners – whether it be a monthly subscription, a one-off gift box or even a single bar – will have exclusive access to the discounts. So there’s no need to be tied into a monthly box; you don’t need to be a chocolate expert or even particularly knowledgeable at all about chocolate to become a Cocoa Runners Insider. All that’s required is a love of artisan chocolate which has meant you’ve made a purchase from our site at some point in the past. We’ll let you know about these discounts in a fortnightly email that gives more information on the makers and bars. You’ll be able to add the chocolate to your cart with two clicks, and the bars will be dispatched the next day. Getting great, discounted chocolate really couldn’t be easier. So stay ahead of the game. 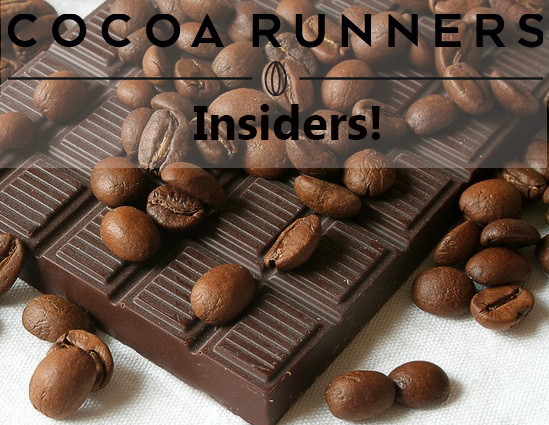 Make your first purchase and become a Cocoa Runners Insider today. 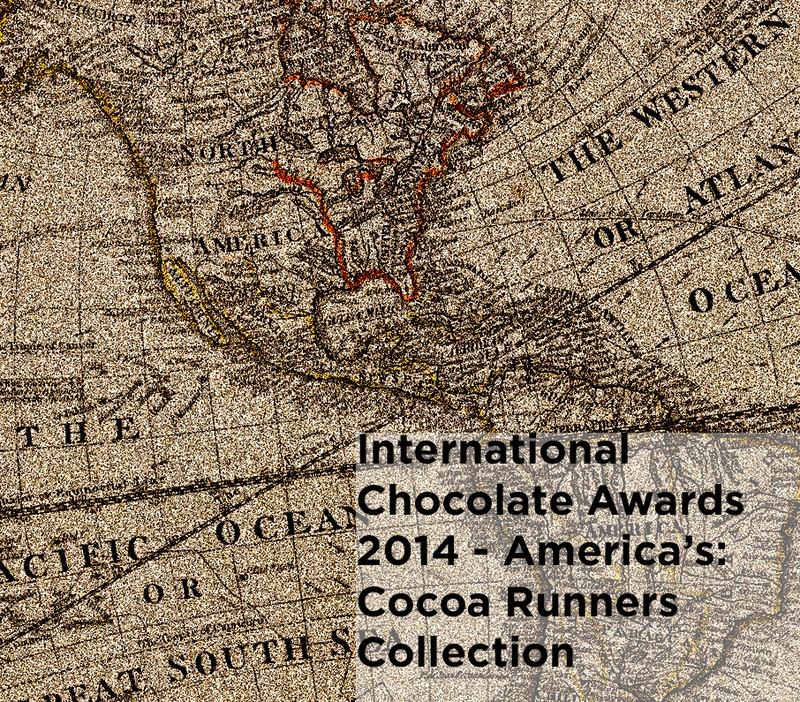 Here at Cocoa Runners, we’ve travelled across 5 continents, 60 countries and 200 towns. We’ve tasted over 1000 bars and selected just 200 for our chocolate library. But finding chocolate from all around the world doesn’t mean we forget our roots. Hidden in the corners of the UK are some fantastic artisan chocolate makers and we’ve assembled the best of their bars in this box. Willie Harcourt-Sooze is the larger-than-life character made famous by Channel 4’s documentary “Willie’s Wonky Chocolate factory.” He is a pioneer of the UK bean to bar chocolate industry so no collection of UK bars would be complete without one of his. At the heart of Willie’s Milk of the Gods bar is his wacky ethos and it perfectly exemplifies his charismatic, enthusiastic personality. Pump Street was originally founded as a bakery by Chris Brennan, a former jet-setting IBM Executive and a man with an insatiable desire to invent. This quickly led him, and his daughter Joanna, to turn their hands to make brilliant bean to bar chocolate. Chocolate that has not only been recognised for its taste, but also for its inventive packaging. This particularly bar brings together both sides of the business, meaning we think it is the perfect representative for Pump Street. It has a distinctive crunch and a truly unique flavour, containing yeasty notes rounded off with a flavour of honey and treacle. What better way to represent a former motorsport engineer than by including in the box his hardest bar to make – featuring salt and nibs inclusions. Combined with the sweet creamy texture you would expect of a Milk, this bar not only epitomises the maker but is a truly worthy inclusion in the box. Ali and Friederike Gower, the geniuses behind The Chocolate Tree, are characteristically understated; unlike their brilliant bars, whose quality speaks for itself. The Chocolate Tree produced a bar with an unique blend just for us a little while ago, so we couldn’t resist including their 70% peru in this box. Rounding off our box and representing Wales in this Great British line up is Forever Cacao and their signature raw chocolate. Pablo has a passion for raw chocolate by accident after tasting it at a friends party, and this is the first bar of his to feature in our Chocolate library. 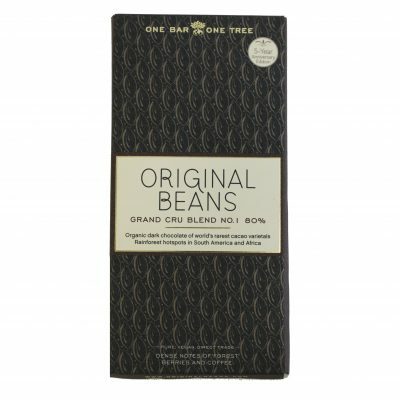 Made from Criollo beans originating in Peru, it has distinctive earthy flavours. As you can see we think these are amazing British bars that we are sure you will enjoy. The best of British box is a fantastic way of exploring the artisan chocolate landscape of Britain. It will allow you to share this hidden secret with friends, as a gift, or as a unique end for a diner party.